It is important to note that, although many business changes are permanent, the individual changes are temporary. The changes in tax rates, standard deductions, and personal exemptions will expire in 2025, unless extended at some future date. Tax rates: Lower individual income-tax rates of 10%, 12%, 22%, 24%, 32%, 35%, and a top rate of 37%. (The current rates would be restored in 2026, i.e. 10%, 15%, 25%, 28%, 33%, 35%, and 39.6%). Standard deduction: Single $12,000, increased from $6,350 (2017). Married filing joint $24,000, increased from $12,700 (2017). Child tax credit: Temporarily increased to $2,000 per child under 17 (was $1,000) and new $500 credit for dependents other than child. These credits phase out for higher-income taxpayers. Itemized Deductions: Deduction for taxes (income taxes and real-estate taxes) limited to $10,000 per year. Mortgage interest: For mortgage debt incurred after Dec. 15, 2017, interest deduction limited to acquisition debt of $750,000. Acquisition debt incurred prior to that date is still subject to the $1 million limit. Home equity loan/line of credit interest deduction eliminated beginning in 2018, regardless of when the home-equity loan originated. • In view of the elimination or limitation of certain deductions and the increase in the standard deduction, fewer taxpayers will be itemizing. To maximize the benefit of deductions, you should consider bunching allowable deductions in alternating years. For example, a married couple with no mortgage and state and local income taxes and real-estate taxes of at least $10,000 will need an additional $14,000 to exceed the standard deduction. Combining multiple years’ charitable contributions in one year may be a way to benefit from itemizing in a particular year. One technique for doing this is a donor-advised fund. Elimination of other deductions: The moving-expense deduction has been eliminated. Alimony: For divorce agreements executed after Dec. 31, 2018, alimony will no longer be deductible by the payer or taxable to the recipient. If anticipated, any such agreement should be reviewed in light of the new law to determine the effects of timing. For decedents dying and gifts made after Dec. 31, 2017 and before Jan. 1, 2026, the federal exclusion has been doubled to roughly $11 million per person. Keep in mind that this expires in 2025 and then reverts to about $5.5 million per person. Taxpayers with large estates should consider the benefit of making large gifts now to take advantage of this temporary increase in exemption. C-corporation: Flat corporate tax rate of 21% (old law 15%-35%). This low tax rate is attractive; however, keep in mind that there is a second level of tax when the corporation pays dividends or is liquidated. Also, C-corporations have additional potential penalty taxes (personal holding company tax and accumulated earnings tax). Pass-through entities: Many S-corporation shareholders, LLC members, partners, and sole proprietors will be able to deduct 20% of their pass-through income. This seems like a simple concept. Unfortunately, there are some very complex rules depending upon the individual’s taxable income and whether the business is a professional service business or real-estate business. It is not practical to try to explain these rules in this communication. Therefore, you should consult with your tax adviser to discuss the optimal entity choice for your business and how you can plan to take additional advantage of some of these rules. DPAD repealed: The new law repeals the domestic production activities deduction for tax years beginning after 2017. Section 179 expensing: Annual limit increased to $1,000,000 (previous limit was $500,000). Also, the expanded definition of assets eligible for section 179 includes certain depreciable tangible personal property used predominantly to furnish lodging or in connection with furnishing lodging. The definition of qualified real property eligible for expensing is also expanded to include the following improvements to non-residential real property after the date such property was first placed in service: roofs; heating, ventilation, and air-conditioning property; fire protection and alarm systems; and security systems. Bonus depreciation: increased to 100% (from 50% under prior law) for property placed in service after Sept. 27, 2017 and before Jan. 1, 2023, and expanded to include used tangible personal property. After 2022, it phases down by 20% each year until Jan. 1, 2027. Luxury auto depreciation limits: Under the new law, for a passenger automobile for which bonus depreciation is not claimed, the maximum depreciation allowance is increased to $10,000 for the year it’s placed in service, $16,000 for the second year, $9,600 for the third year, and $5,760 for the fourth and later years in the recovery period. These amounts are indexed for inflation after 2018. For passenger autos eligible for bonus first-year depreciation, the maximum additional first-year depreciation allowance remains at $8,000 as under pre-act law. Business interest deduction limitation: For businesses with gross receipts in excess of $25 million, interest-expense deductions will be limited to 30% of adjusted taxable income. For years beginning before 2022, adjusted taxable income is computed without regard to depreciation and amortization. Any excess interest expense is carried over to future years. Real-estate businesses may elect out of this limitation. However, the election requires use of ADS depreciation, which results in longer depreciable lives and loss of bonus depreciation. Net operating losses: There is no longer a carryback provision; however, the carry-forward period is now unlimited (previous law provided that NOLs could be carried back two years and forward 20 years). In addition, any losses incurred after Dec. 31, 2017 can offset only 80% of taxable income. Excess business limit: The new tax law limits the ability of a non-corporate taxpayer to deduct excess business losses. After application of passive loss rules, the deduction of business losses is limited to $500,000 per year for taxpayers filing jointly and $250,000 for others. 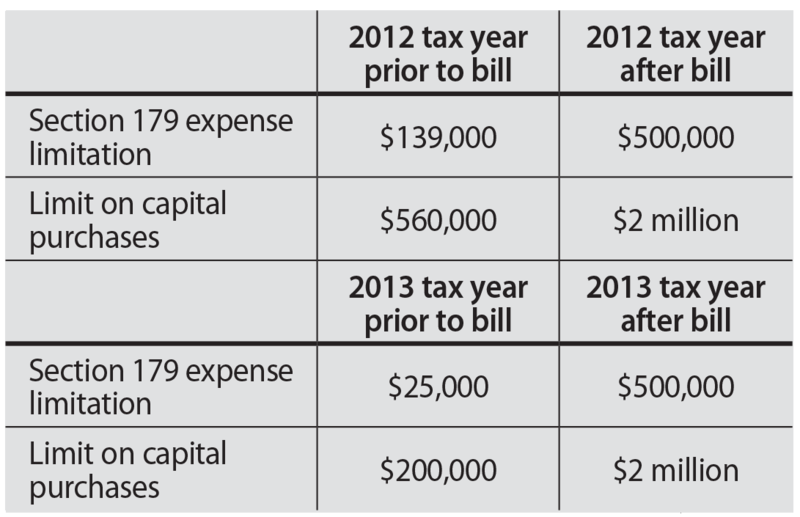 The excess loss is carried forward as part of the taxpayer’s net operating loss. This provision applies to tax years beginning after Dec. 31, 2017 and prior to Jan. 1, 2026. As you can see from this brief summary, the new law is extremely complex. You should consult with your tax adviser to fully explore how to take advantage of the opportunities and to minimize the impact of the negative changes. 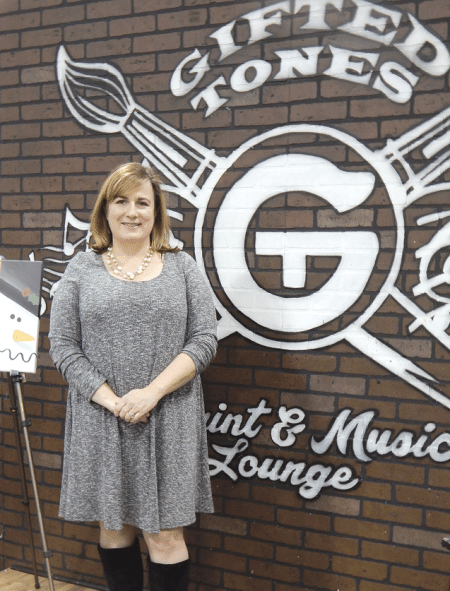 Nicole Sweeney says new offerings like Gifted Tones Paint and Music Lounge will keep shoppers engaged during holiday-season visits to Eastfield Mall. Carolyn Edwards is surrounded by dozens of stores on a daily basis, so she tends to do her holiday shopping late in December. But this year, she purchased two Christmas gifts in mid-October and joined the growing ranks of consumers on an early quest to find the perfect gift for everyone on their list. “It’s not something I normally do, but sales inspired me to start shopping early,” said the general manager of Lee Premium Outlets. 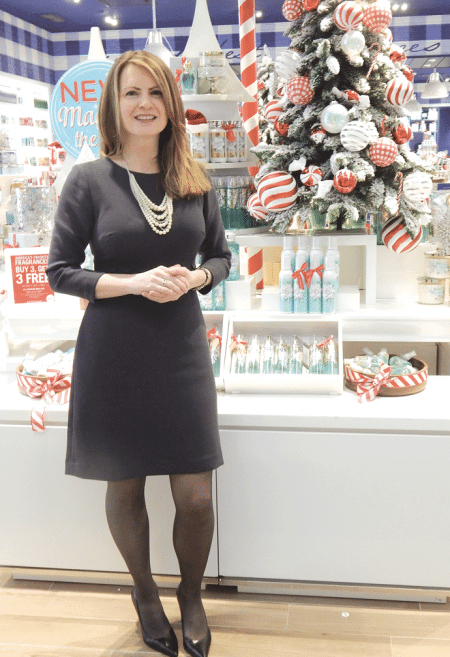 Tempting gift items also spurred Nicole Sweeney to start shopping well in advance of Christmas, and by Halloween she had a pile of holiday gifts sitting on her desk. “I don’t wait until Black Friday to shop, but I have never done it this early before,” said the marketing manager at Eastfield Mall in Springfield, noting that purchasing things over a period of several months helps to mitigate the sticker shock that many people face at Christmas. National surveys show that two in 10 shoppers began their annual quest for the perfect present in early October, and big-box stores put Halloween and Christmas decorations and merchandise on display at about the same time. “Black Friday preview sales were started early to get people’s appetites going for the holiday spending that leads up to the day after Thanksgiving [Black Friday]. But that day is not like it used to be,” Sweeney said. Indeed, retailers have already begun to cash in on the final quarter of the year, and the forecast for the season is green. The International Council of Shopping Centers has predicted a 3.5% increase in holiday shopping at brick-and-mortar stores, compared to the 2.2% gain last year; the National Retail Foundation (NRF) expects retail sales in November and December (excluding autos, gas, and restaurants) to increase a solid 3.6% to $655.8 billion; and Deloitte predicts holiday spending to increase between 3.6% and 4% from November through January, topping $1 trillion. Although online shopping is on the rise and cuts into the pockets of mom-and-pop operations that don’t have websites with free shipping, PwC’s 2016 Retail and Consumer Holiday Outlook survey notes that almost 75% of consumers plan to shop locally, 56% will seek independent retailers, and consumers with annual household incomes less than $50,000 will increase their spending more than consumers overall. In addition, more people will have cash to spend because retailers have hired, or are planning to hire, between 640,000 and 690,000 seasonal workers, in line with last year’s 675,300 holiday positions. Gifts are expected to run the gamut from toys to clothing, and high-tech items such as tablets, phones, and gaming devices are expected to be popular, but many people will choose their own presents after the holidays, because gift cards are expected to make up 32% of purchases. “The stores had their holiday décor in place by the end of October, and the day after Halloween, we went into the holiday season full force,” Edwards said, echoing other retail spokespeople who said Christmas music began playing Nov. 1 and the sound of cash registers humming added to the spirit of the shopping season. Lisa Wray says the unofficial kickoff for the holiday season at Holyoke Mall was Veterans Day weekend. “Santa arrived Nov. 12 in a fire truck escorted by the Holyoke Fire Department, and we were ready for the people here to do their holiday shopping,” said the marketing director for Holyoke and Hampshire malls. Lisa Wray says Holyoke Mall’s holiday sales should be in line with national projections, but foot traffic should get a boost from several new stores. She expects sales to be in line with the NRF’s predictions, but expects foot traffic to get a boost, because Holyoke Mall has added eight new stores in the last seven months. They include Zales Jewelers, a cell-phone accessory and repair shop called Shatter and Case, a women’s plus-size clothing store called Torrid, a newly remodeled Bath & Body Works and White Barn Candle, a Touch of Beauty Nails & Spa, Sprint, CilantroMex restaurant, and Billy Beez, an indoor play park with a jungle theme featuring fun that ranges from bouncing to jumping, sliding, climbing, and more. Although people will not be camping out on Black Friday like they did years ago, Wray said, it’s still a significant day at Holyoke Mall; many large retailers will open their doors at 12:01 a.m. and people will be lined up to take advantage of promotions. “Stores like Target, Sears, and Best Buy will all have doorbuster sales that are still a big draw,” said Wray, adding that Holyoke and Hampshire malls will open at 7 a.m.
All of this year’s holiday carts and kiosks at Eastfield Mall were in place Nov. 1, but Black Friday is not as big as it used to be, Sweeney told BusinessWest, adding that Eastfield also has new stores and venues, including a Bounce! Indoor Inflatable Park that opened earlier this fall and is already attracting families. “My instinct is that places that offer experiences will have an edge this year, because that allows people to wrap in something festive with their shopping,” she said, explaining that parents can combine a trip to Bounce! and shopping in one visit; people can shop, then listen to live music at Donovan’s Pub or take in a movie before and after making purchases. “Foot traffic is important because we have a lot of mom-and-pop stores. It’s getting easier and faster to shop online, so it’s become very competitive, but one-day preview sales generate a lot of excitement because they offer really good deals in advance of Black Friday,” Sweeney noted, explaining that special promotions will continue throughout the season to accommodate those who shop early, late, and anytime in between. Other new ventures at Eastfield Mall include V-Stream Dreams, a store that sells an alternative to a TV cable box that allows people to get a multitude of channels with minimal or no lag time; and Gifted Tones Paint and Music Lounge, an art store where people can learn to paint alone or with friends. Lee Premium Outlets also has new stores, including Kay Jewelers, Guess, a Toys R Us Express, and 10,000 Villages, which will be open only during the holiday season. “Outlet centers are driven by promotions, and the stores here are offering really good sales. They are difficult to pass up, and folks are already taking advantage of them; they aren’t waiting for the snow to fly or for the week of Thanksgiving to get started on their shopping,” Edwards said, noting that handbags and accessories are always popular, and Michael Kors and Coach are good places to find these gifts. She added that sales will be heavily promoted, and the right price point will inspire people to make purchases, which often include gifts for themselves. The fourth quarter of the year is a critical time for retailers, an obvious point that still needs to be stressed. “The holiday season is so important to them that they can’t let a day go to waste,” Sweeney said. Holyoke Mall expects to meet expectations forecast by the NRF and other retail groups, and the forecast is equally bright at Lee Premium Outlets. 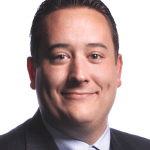 “All of the early indicators this year are that we will meet or exceed last year’s sales. The numbers should come in for us,” Thomas said. Which will indeed bring joy to local retailers who hope the sound of cash registers processing sales will continue to ring in a very merry Christmas. The following Business Certificates and Trade Names were issued or renewed during the month of June 2016. 66 DKR LLC, d/b/a Hampton Inc. The following Business Certificates and Trade Names were issued or renewed during the month of December 2015. 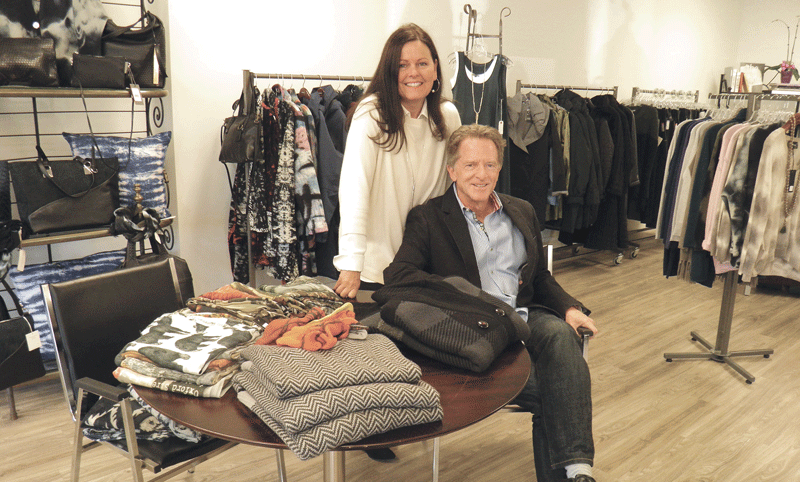 Louis and Kathy White say holiday shopping started early at A.O. White, and they have boxes and bags filled with items that have been gift-wrapped and are waiting to be picked up. ’Tis the season to be shopping, and local retailers say consumers began their annual holiday shopping for friends, family, and loved ones — and themselves — right after Halloween. “Shoppers aren’t waiting until the last minute anymore,” said Nicole Sweeney, marketing manager for Eastfield Mall, adding that it seems that people are buying a few things each week after they get their paycheck. “The old metric of measuring sales from Black Friday to Christmas is no longer accurate, and retailers have responded to the growing trend of people shopping early. Old Navy has had a sale almost every day since late October, and most of the national chain stores offered pre-Black Friday sales,” she told BusinessWest. Lisa Wray agrees. The marketing director for Holyoke and Hampshire malls said their unofficial season kickoff took place on Veterans’ Day, as many people had the day off. “We’ve definitely seen an uptick in traffic since then, and a lot of stores started holding sales early, rather than waiting for Black Friday,” she said. Indeed, all signs point toward a very healthy sales season. The National Retail Foundation (NRF) expects sales in November and December (excluding autos, gas, and restaurants) to total $630.5 billion, which equates to an increase of 3.7, significantly higher than the 10-year average of 2.5%. Average spending per person is expected to reach $805, and surveys show that nearly 57% of people celebrating the holidays started buying gifts in early November. Joy Leavitt, who owns KiddlyWinks in Longmeadow, says the store held two special events long before Black Friday to kick off the holiday season. The children’s toy store sent 12,500 catalogs to customers on a mailing list and invited them to attend an Adult Shopping Night that included hors d’oeuvres and raffles. More than 100 guests showed up and enjoyed the evening; and it was followed by a Wake Up with KiddlyWinks morning that attracted 50 shoppers who received discounts and free gift wrapping, along with coffee and donuts. 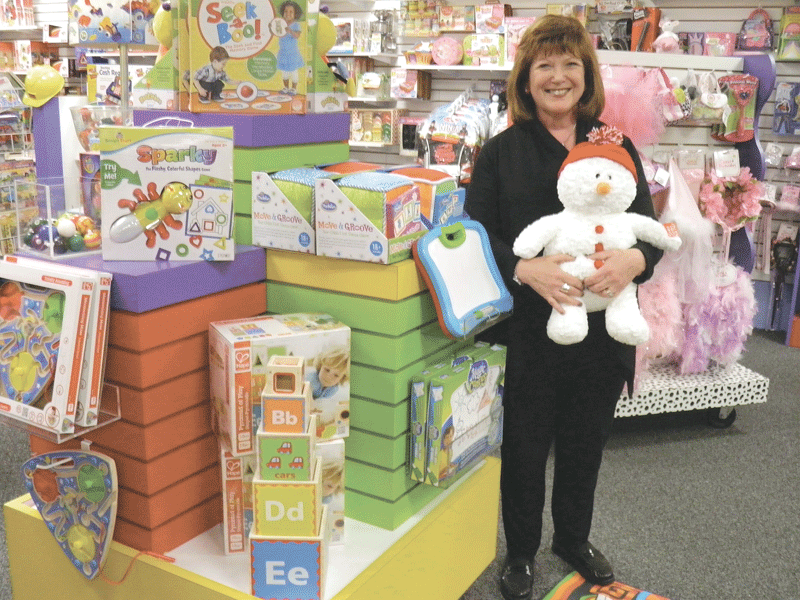 Joy Leavitt says the holiday season is off to a great start at Kiddly Winks, and the response to two November sales promotions was fantastic. Edwards said footwear and apparel account for a significant portion of the gifts purchased during the holiday season at Lee Premium Outlets. “And we are anticipating a large sale of gift cards. They’re always our number-one seller, and as we get closer to Christmas, we always see an uptick in demand for them,” she told BusinessWest, explaining that they make an ideal gift, as the shopping season doesn’t officially end until Jan. 1, and many people crowd stores the day after Christmas to take advantage of post-holiday sales. Although the NRF says Americans plan to do almost half of their holiday shopping online this year, and one in five will use a smartphone to purchase holiday merchandise, local retailers say the joy of holiday shopping is an experience that can’t be duplicated by ordering remotely. “Every single business has been affected by online shopping; it has changed the world. But we hope people make some of their purchases at local businesses and family-owned stores. We are the tapestry of the community and are so appreciative of the business,” Leavitt said, adding that KiddlyWinks looks for the hottest and best toys for children from February until September in advance of the holiday season, and when people shop locally, the tax dollars stay in the community. Edwards believes people often go online to find what they want to purchase and compare pricing. “But nothing compares to seeing something, trying it on, and feeling the merchandise, so I don’t think online shopping will ever replace the experience of shopping in a store,” she said, adding that, when people are buying for others in a retail store, they often purchase something for themselves. Indeed, the NRF says 54% of shoppers treat themselves during the holiday season. “People often come in with a shopping list and leave with a few things for themselves,” Louis White noted. Although it’s too early to determine exactly how much people will spend this holiday season, the owners of local stores have done all they can to attract the growing number of people shopping early, as well as those who wait until the last minute. Weather can affect business and prevent people from going to their stores, but it has been an unseasonably warm fall, and they are optimistic about the 2015 holiday season. And Wray expects stores in the Holyoke and Hampshire malls to meet the NRF’s prediction of an increase of 3.7%. All of which should add up to a very merry season for retailers and shoppers beginning their annual quest to find the perfect gift for everyone on their list. 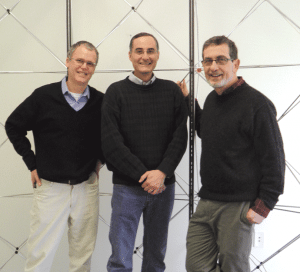 From left, Jef Sharp, Jeff Hausthor, and Henry Lederman created QuickQnect, software the connects the joints in a steel structure via an automatic process. Jef Sharpe and Jeff Hausthor are on the edge again. The cutting edge, that is. The entrepreneurs, who have been partners in five business ventures, joined Henry Lederman last October to start a new company called Qnect, and are launching a new software product called QuickQnect at the three-day NASCC Steel Conference in Toronto. They say the product will revolutionize the way the joints in a steel structure are connected. “The idea of turning this manual process into a software solution is brand-new, and QuickQnect is up to 100 times faster than the conventional way of connecting the joints in a building,” said Sharp, adding that the service is available in the cloud. Lederman, who has spent 42 years in the steel-detailing industry, developed an early version of the software that has already been used in 11 buildings, including structures at UMass and Harvard. And when BusinessWest spoke to the three entrepreneurs, they were looking forward to introducing their breakthrough product at the Toronto conference, which is expected to attract more than 3,500 structural engineers, steel fabricators, erectors, detailers, and educators involved in the design and construction of fabricated steel buildings and bridges. Lederman said QuickQnect combines two critical components of the steel-connection process into one, eliminating weeks or months of manual labor required to connect each joint in a multi-story steel structure. He created the new software to stay competitive in an industry that has cut costs by outsourcing work overseas. Developing it was a process, but the first step was recognizing there was room for improvement in the three-dimensional system used by steel-detailing companies. 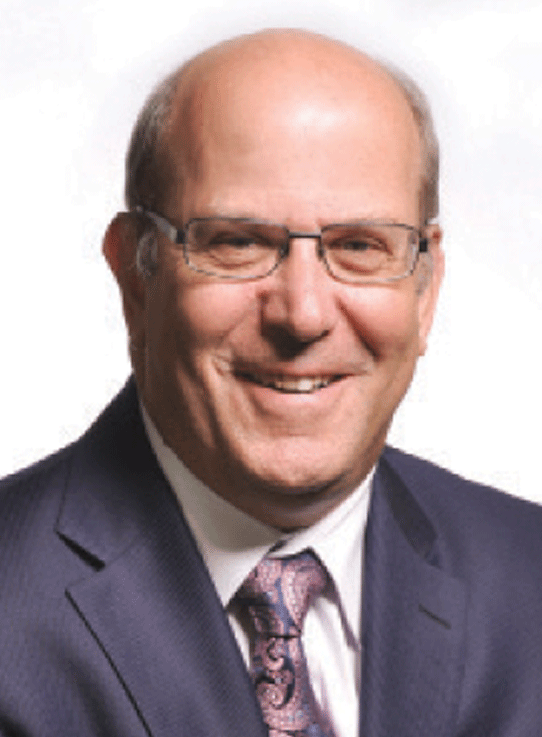 Lederman’s history includes high-profile projects, including the World Trade Center Memorial Museum in New York City and Tata Hall at Harvard University. He has been a speaker at industry events and is a leader in detailing innovation. “It’s fun starting something from scratch that has never been done before. And what this new product [QuickQnect] does is pretty extraordinary. But developing it was tempered by my desire to see it in its fullest commercial form,” he said. That pursuit brought Lederman together with Sharp and Hausthor last fall. They were introduced through a friend, and his original plan was simply to get ideas from the successful entrepreneurs. Sharp and Hausthor said working with Lederman met the criteria they have established for a new venture (more about that later) as they know what it takes to transform a novel idea into a product, then market it successfully. But it’s work they truly enjoy. Each of the entrepreneurs has different skills, and their titles at Qnect reflect their honed talents. Sharp is CEO, Hausthor is COO, and Lederman is CFO. They all agree that education is critical and learning must be an ongoing process. “It’s an interesting path, and the importance of entrepreneurs can’t be fully stated,” Sharp said. Lederman concurred. “There are many amazing business people doing wonderful things, but it’s very hard to find the right resources,” he said. Still, they are confident they will reach their goals because their product will save time and money. But it took sophisticated engineering skills to create the software that automates a manual process. “Two hundred calculations are necessary for every joint, and there can be upwards of 2,000 joints in a building,” Hausthor said as he spoke about a building, constructed with the pre-commercial version of the software, that had 11,000 joints. Sharp said they have also put together an exceptionally talented development team. “I’m confident they will be unstoppable in building and expanding our software breakthrough. The design of the joints in a building is really important, and reducing months of work to a few hours drives everything else, including the cost of using steel, which is the most environmentally friendly solution for large buildings and is 97% recyclable,” he noted, adding they hope to identify powerful local investors. The three men have impressive backgrounds. 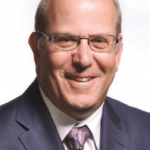 Lederman has built three successful companies, Sharp has founded six, and Hausthor has directed IT and software-development efforts and operations logistics for six firms. “I like all new technology and enjoy investigating new things,” Hausthor said. Sharp and Hausthor have been partners in five ventures and love being on the cutting edge of development. They also share a passion for helping the planet. His first business was a mobile food service he named the Clam Scam, which he launched when he was in college. His next venture was started in 1999 after he moved to Western Mass. from New York, where he had been running a manufacturing company called Gravity Graphics. “I had a burning idea for a dot.com company that would sell excess manufacturing capacity online,” he said. The idea didn’t require resources or capital, since he simply wanted to make more efficient use of what already existed on the planet. “Having a company that has an impact on the world has always been important to me, and in the past, green has always been a theme,” Sharp told BusinessWest. 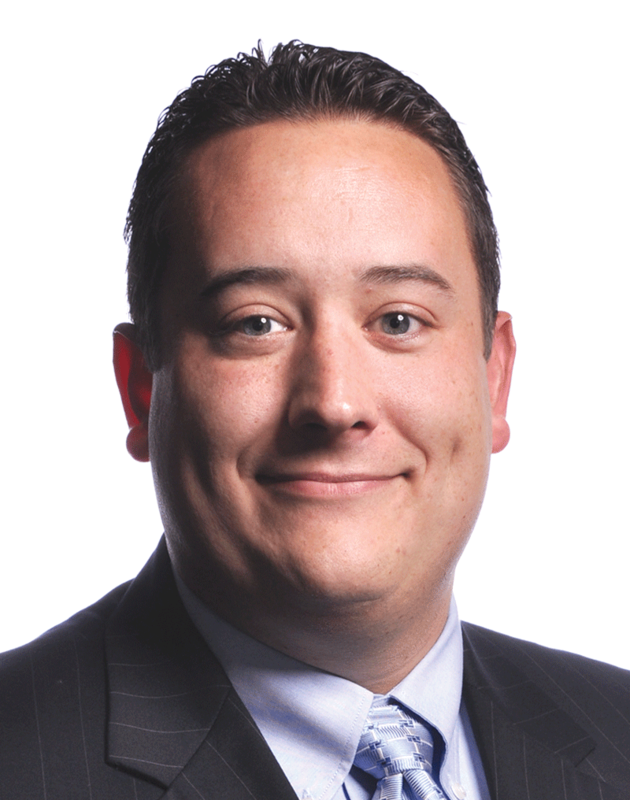 Hausthor, who joined Sharp in the business known as XSCapacity, was a self-described “Fortune 500 guy” before they met. He had been a programmer analyst for Deloitte, an associate at Morgan Stanley, a technical specialist for Sony Electronics, and a project manager for Sony Corp. of America. A friend introduced the two men, they had lunch together, and a short time later, Sharp asked Hausthor to help him start XSCapacity. The idea took flight as other firms adopted the novel idea of using real estate, autos, and more to maximum capacity. “XSCapacity was a concept,” Sharp explained. And although they were reasonably successful in building their product and raising money, the company became part of the dot.com collapse. Their next venture was TechCavalry in Northampton, which provided computer service for small businesses and homes. “We needed to do something quickly which we could fund ourselves that would provide us with relatively instant revenue,” Sharp said, adding they sold the firm in 2012 after 11 years, and it is still in business today. Although TechCavalry was successful, “we felt compelled to do something good for the world that would have a positive impact,” Hausthor said. So in 2006 they founded Qteros Inc. with two other partners. “The company was created to start green companies,” Sharp said. “We worked nights and weekends, and it took us nine months to find our first project.” They combined talents with Susan Leschine, a professor at UMass Amherst, who had discovered a microbe that made ethanol from cellulose. Sharp describes the time as “a whirlwind. We hired two scientists a month and grew quickly.” They secured a government grant, and their backers included the petroleum giant BP. The firm had 50 employees when the pair left in 2008, although Sharp continued to serve on the board of directors until 2012. They were discussing what to do next when Sharp met Steve Frank from Florence, who had started a supercomputer business and was looking to expand. “He convinced us it should be our next company,” Sharp said, adding that Paneve, which has grown into a large data firm today, made a new type of computer chips. But when the operation moved to Colorado at the behest of its engineers, and its Amherst office closed, Sharp and Hausthor decided to remain here and began a new search for another startup, which occurred when they met Lederman. Hausthor agreed. “The product also has to be protectable in terms of patent and other intellectual properties and has to be a technology that helps the world,” he added. Sharp admits it’s not for everyone. “Starting your own company can be very exciting, but it can be just as exciting to join a young company,” he said, reiterating the importance of a strong team. But people like Sharp, Hausthor, and Lederman will always thrive on work that is on the cutting edge. AZPCO of Clifton Park Inc.
As you may know, one of the fastest-changing tax laws deals with deductions for the depreciation of assets acquired during the year. Congress is continually adjusting, changing, and, quite frankly, confusing us with continual depreciation-rule amendments. Lawmakers say this is all intended to stimulate the spending habits of companies. However, at the end of the day, it causes confusion to the business owners, internal accountants, public accountants, salesmen, and anyone else who tries to remember the actual deprecation rules from year to year. 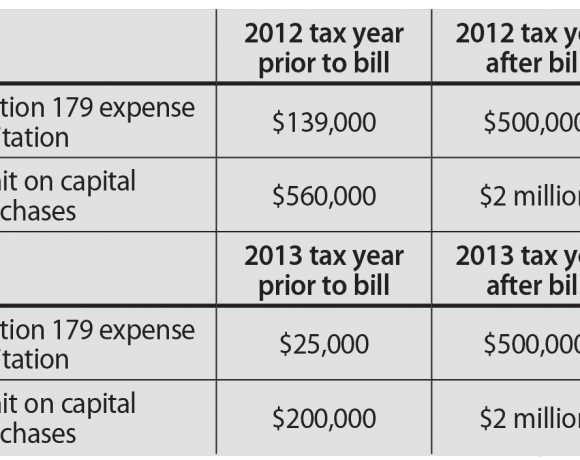 To help you transition from prior rules to the current rules under the new American Taxpayer Relief Act of 2012, a comparative summary has been provided below. Understand that the new rules listed are as of the date of this publication and, as always, are subject to change. • Section 179. The deduction limit was increased with the Small Business Act of 2010 and extended thereafter with the addition of the American Taxpayer Relief Act of 2012. This deduction applied to both new and used capital equipment and ‘off-the-shelf’ software. You generally need taxable income in order to take this deduction, unlike bonus depreciation, which can be taken regardless of taxable income (i.e., you can generate a taxable loss with bonus deprecation). Be aware that Section 179 limitation rules state that, for every dollar spent over the capital purchase limit, there is a dollar-for-dollar reduction in the deduction. That means, in 2012 and 2013, if you spend more than $2.5 million on qualified items, your Section 179 deductions have been completely phased out. • Bonus depreciation. The 2012 American Taxpayer Relief Act has extended the 50% first-year depreciation under Code Sec. 168K. The qualified assets need to be acquired and placed into service before Jan. 1, 2014. It is available only on new equipment — meaning its first use by anyone (qualified leasehold rules are discussed later). In addition, there is no capital purchase limit on spending like in Section 179 rules. In 2012 you can deduct the first 50% of the asset cost as bonus depreciation; the remaining basis is then depreciated under normal rules. In 2011, the bonus depreciation was 100% of the asset cost, effectively allowing a full and immediate deduction. One drawback is that most states do not recognize bonus depreciation, and you cannot take the additional expenditure. You may need to weigh this against the fact that, for state purposes, most states allow Section 179 deductions to the extent of the federal limit. In 2011, qualified leasehold improvements, qualified restaurant property, and retail improvements were allowed to use a reduced depreciable life of 15 years. 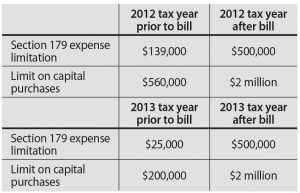 With the new 2012 relief bill, this is extended to anything placed into service after Jan. 1, 2012 and prior to Jan. 1, 2014; the extension allows for the 50% bonus depreciation and 15-year depreciable life. • Passenger autos: the maximum deduction 2012 is $11,060. • Trucks and vans: the maximum deduction in 2012 is $11,160. • Heavy SUVs used 100% for business: uses are eligible for 50% bonus. A SUV is considered heavy if it has a gross vehicle weight rating of more than 6,000 pounds but less than 14,000 pounds. Additionally, a heavy SUV qualifies for Section 179 expensing of up to $25,000. (As a planning tool, you would be able to take bonus of 50% of the cost first, and then take the Section 179 of $25,000). — Vehicles with a fully enclosed driver’s compartment/cargo area, with no seating available behind the driver (basically a classic cargo van). As stated previously, these favorable bonus depreciation provisions are scheduled to expire on Dec. 31, 2013. If you wish to take advantage of these provisions, you should plan to have the qualifying items acquired and placed in service by then. After that date (unless the laws are changed), there will be no more bonus depreciation. In addition, after 2013 the Section 179 deduction rules are scheduled to revert to the 2003 limit of $25,000 total deduction on $200,000 of qualified additions. If you have any questions regarding depreciating assets, be sure to consult your tax advisor. The following Business Certificates and Trade Names were issued or renewed during the month of February 2012. The following Business Certificates and Trade Names were issued or renewed during the month of November 2011.